Celebrate Theory builds music literacy from the very first lesson and deepens students' enjoyment and understanding of the music they hear and play. By integrating music theory with practical study, students develop well-rounded musicianship skills in an interactive and engaging way. The series is designed to enrich practical studies concurrently by level therefore supporting the study of music theory at every stage of a student's musical development. It encompasses rudiments, harmony, counterpoint, analysis, and music history, and has been carefully written to enhance the skills of aural awareness, analytical thinking, and creativity. 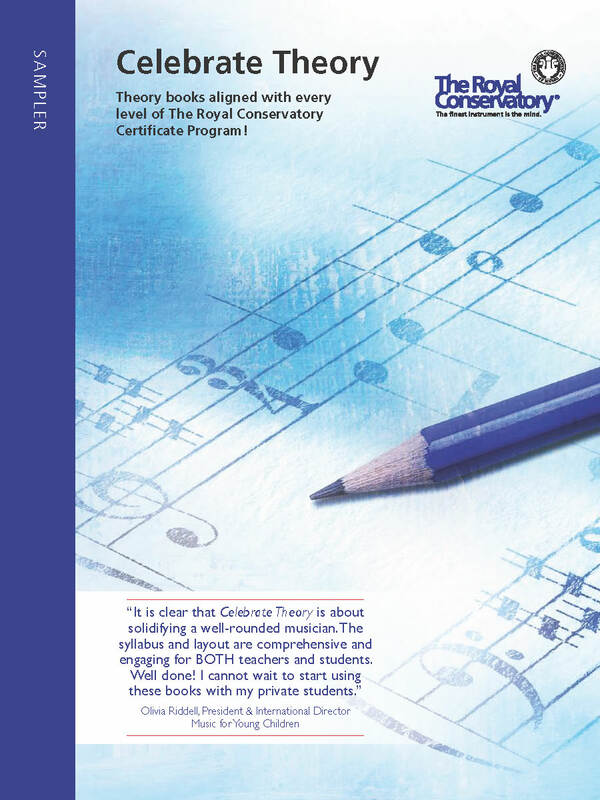 The downloadable sampler provides an overview of the concepts covered in each level of the Celebrate Theory series. You can use this resource to become familiar with each book and determine which level is appropriate for your student or yourself.